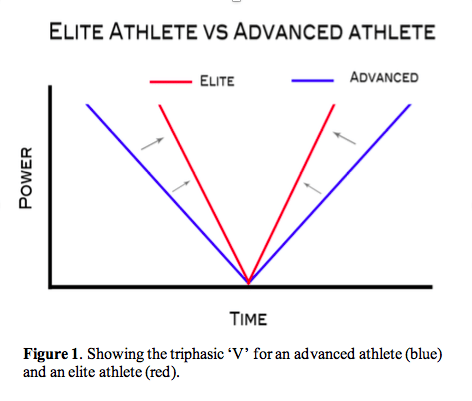 Triphasic Training is a method of applying specific stressors across the three phases of dynamic movement; eccentric, isometric and concentric, in order to drive specific adaptation. This training method delves deep into the depths of efficient power production and focuses on the body’s ability to absorb force before training the ability to expel it. Eccentric Phase – A muscle action that occurs during the lowering phase of a movement, during which the muscle lengthens. The eccentric force is responsible for controlling the deceleration of a load. Isometric Phase – A muscle action that occurs between the lowering and upward phase of a movement. Muscle length remains constant as the contractile force is equal to the resistive force. This is the point at which the load changes direction. Concentric Phase – A muscle action that occurs during the upward phase of a movement where the muscle contracts, accelerating a load and shortening in length. The Triphasic Training method was developed by Cal Dietz, a strength coach from the University of Minnesota. He came up with the concept when he noticed two of his shot-putters who, despite putting up similar numbers in the gym, saw a large discrepancy in their throwing ability. In order to answer the question of ‘why’ he tested their bench press using a force plate. He found that one athlete was able to absorb more force eccentrically at a higher velocity. This in-turn lead to greater energy storage through the stretch reflex and stretch shortening cycle (SSC) and thus a more powerful concentric contraction. In practical terms one athlete was able to store more energy during the windup and apply more force to the shot leading to a further throw. This concept is referred to by Cal as the ‘V’ and can be seen in Figure 1, it’s the ability to produce more force in less time. 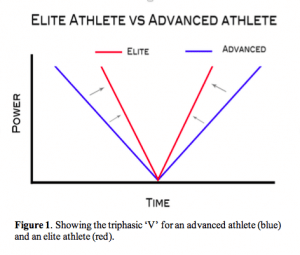 The goal of triphasic training is to teach athletes how to absorb force both eccentrically and isometrically before applying it concentrically, in other words narrowing the ‘V’. During the eccentric phase of a movement we are training two physiological processes that contribute to force development; the stretch reflex and the stretch shortening cycle (SSC). The stretch reflex is comprised of two proprioceptive nerve signals; the muscle spindles and the Golgi tendon organs (GTO). The muscle spindles are neuromuscular simulators, they are responsible to relaying information to the brain via the central nervous system (CNS). When a greater force is placed on a muscle there is a stronger signal sent from the muscle spindles resulting a greater muscle contraction. The GTO on the other hand, is a neuromuscular inhibitor and is responsible for protecting muscle fibres through relaxation when tension becomes too high (2). The goal of eccentric training is to improve the synchronisation between the muscle spindles and the CNS whilst desensitising the GTO resulting in greater force absorption capabilities without triggering the inhibitory GTO reflex. The role of the SSC is to absorb kinetic energy within the muscle and tendon. When these structures are stretched the elastic energy is stored to be used during the concentric phase. Eccentric training has been linked with improved performance in sprinting, jumping and change of direction (3). The isometric contraction is comprised of two neurological processes which need to be trained; motor unit recruitment (MUR) and rate coding. Improving the function of these processes will enable an athlete to produce more force in less time. MUR refers to which and how many motor units are involved in a muscle contraction (2). MUR is dictated by the size principle which states motor units are recruited in order of recruitment thresholds and firing rates i.e. before a high-threshold motor unit (Type II or fast) is recruited all of the motor units below it must be recruited sequentially. Rate coding on the other hand is the rate at which motor units are fired (2). This process is responsible for building intramuscular tension to overcome an imposed load i.e. stopping and reversing an eccentric contraction. As the strength of a motor neuron signal doesn’t change the nervous system must increase the frequency of the signal to increase the force of contraction. Rate coupling refers to the coordination of the contractile mechanism and is included in the isometric phase due to the high rates of intramuscular tension that must be achieved when stopping the eccentric lengthen of a muscle at very high speeds. To maximise force potential an athlete must be able to efficiently produce thousands of muscle twitches during the isometric phase of a dynamic movement (4). Through isometric strength training athletes can improve motor unit recruitment, rate coding and rate coupling leading to a more efficient neuromuscular action and a greater a rate of force development (RFD) (5). The concentric phase, as it relates to dynamic movement is the measure of an athlete’s RFD. During the concentric contraction RFD is facilitated by the two physiological processes mentioned earlier, the stretch reflex and SSC. The goal of training the concentric phase is the synchronisation of the entire triphasic muscle action, harnessing the energy from the preceding eccentric and isometric phases. These mechanisms can be divided in to two categories; intramuscular coordination (within the same muscle group) and intermuscular coordination (between different muscle groups). Intramuscular coordination consists of motor unit recruitment, rate coding and rate coupling. Intermuscular coordination consists of inhibition/disinhibition of the agonist/antagonist muscle and synchronisation of every neuromuscular mechanism mentioned. To overload the eccentric phase, we aim for a 5-8 second decent. The increased time under eccentric tension intensifies the stress placed upon stretch reflex, leading to potentiation of the muscle spindle and inhibition of the GTO. This, in turn, will improve the SSC and lead to an increased force production (4). The slow eccentric phase is always followed by an explosive concentric movement as we are still training the neurological process of transitioning from an eccentric to concentric contraction. Due to the high levels of stress associated with eccentric training (6) it is best to limit it to 1 to 2 exercises early in the session. An example eccentric program can be seen in Table 1. Table 1. Example Eccentric Program (Week 1-2). Isometric focused work requires a greater level of intramuscular tension which activates a greater number of high threshold motor units, this can lead to a potentiation effect. The isometric exercises are performed as full ROM dynamic movements with a pause in the bottom position (or at a specific joint angle). The eccentric phase of the movement must be performed as fast as possible as the goal is to teach the physiological structure to absorb force rapidly. To do this the load must be stopped instantly (within 1-2°) with the pause typically lasting between 4-5 seconds. Like the eccentric movement the isometric focused lift is followed by an explosive concentric contraction. An example isometric program can be seen in Table 2. Table 2. Example Isometric Program (Week 3-4). The concentric phase is all about speed. This is not like normal ‘concentric’ training where controlling the load is key. The exercise will be performed in a reactive manner where all three phases of the movement are performed as fast as possible. We are training the system to contract and relax at high speeds. An example concentric program can be seen in Table 3. Table 3. Example Concentric Program (Week 5-6). Due to the intense nature of this training method we typically program it during the pre-season and mid-season break (the Swedish system runs a 6 week summer break from games). The program runs for a total of 6 weeks with each phase lasting 2 weeks. 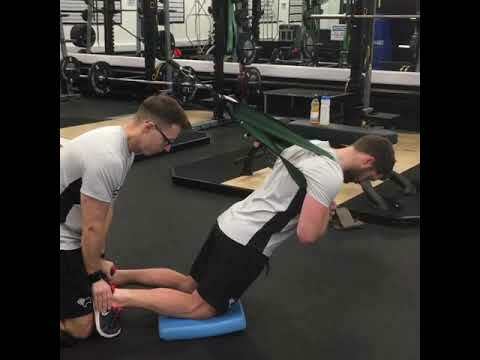 We implement this method only for the compound lifts (one knee dominant and one hip dominant) whilst utilising conventional lifting technique for the accessory exercises. In the above examples each compound lift is followed by an explosive ballistic movement following the principles of complex training. Baechle, T., & Earle, R. (2000).Essentials of strength training & conditioning (2.ed.). Champaign, Ill.: Human Kinetics. de Hoyo, M., de la Torre, A., Pradas, F., Sañudo, B., Carrasco, L., & Mateo-Cortes, J. et al. (2014). 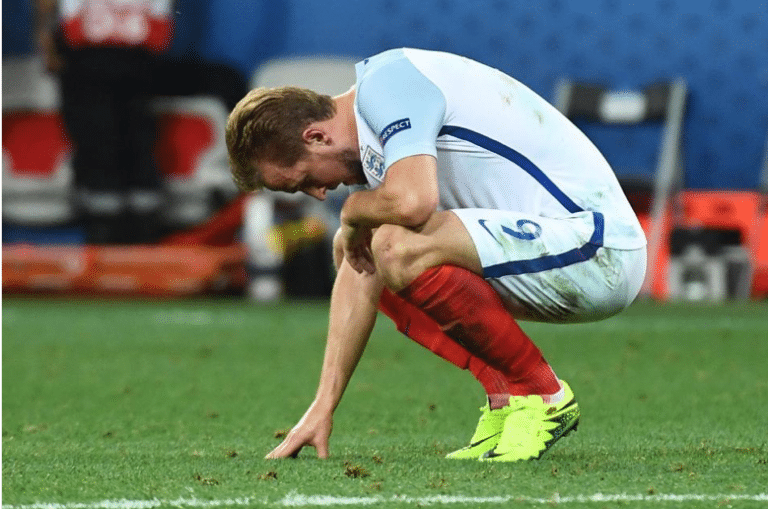 Effects of Eccentric Overload Bout on Change of Direction and Performance in Soccer Players.International Journal Of Sports Medicine, 36(04), 308-314. Dietz, C., & Peterson, B. (2012). Triphasic training. Hudson, WI: Bye Dietz Sport Enterprise. Burgess, K., Connick, M., Graham-Smith, P., & Pearson, S. (2007). Plyometric vs. Isometric Training Influences on Tendon Properties and Muscle Output.The Journal Of Strength And Conditioning Research, 21(3), 986. Proske, U., & Morgan, D. (2001). Muscle damage from eccentric exercise: mechanism, mechanical signs, adaptation and clinical applications.The Journal Of Physiology, 537(2), 333-345.